Fits to each narrow Gottlieb flipper finger with the number C-13150. The inner diameter is 0.375 x 1.5 Inch. The material is polyurethane not rubber. The narrow Super-Bands™ partly fit also on Zaccaria machines (i.e. Farfalla). The material of the Super-Bands™ is more durable as opposed to normal flipper rubbers, because it is a composite material. 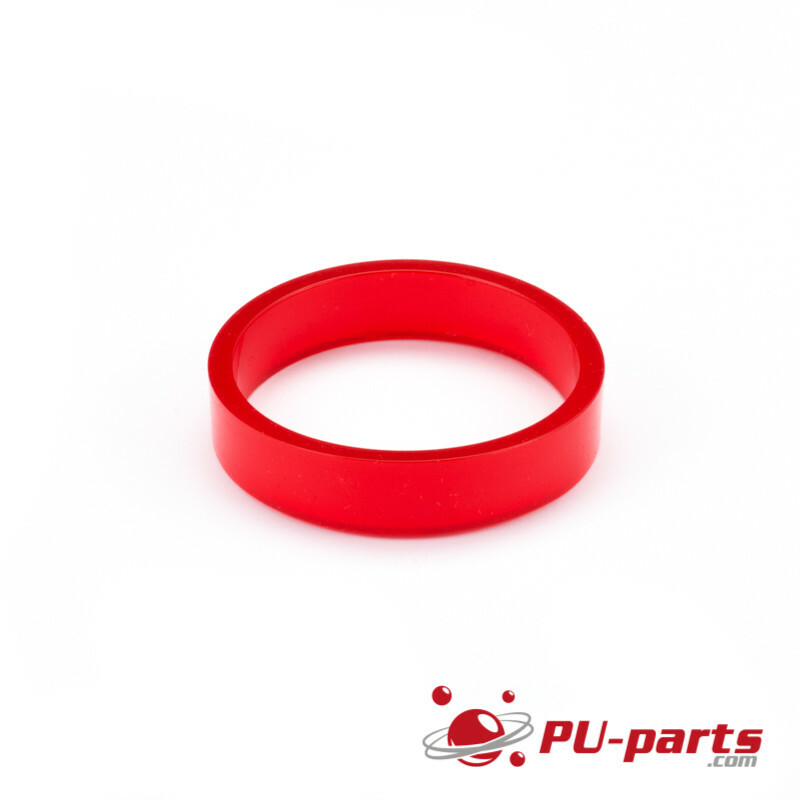 It is UV and ozone resistant and has a lower abrasion compared to normal rubber. Due to the high material density, there are fewer protective adhesions and thus the same performance characteristics. Better ball control due to the slightly longer ball contact. Since all colors have the same hardness, they can be mixed with each other. The Super-Bands™ are similar to the traditional red rubbers. The Super-Bands™ fit perfectly to the shiny and bright colors of the plastic parts and playing fields. Due to the material (polyurethanes, not rubber), the Super-Bands™ can be slightly heavier to install on the Flipperfinger compared to the normal rubbers. Super-Bands Mini Post 3/8" O.D. Super-Bands Mini Post 7/16 O.D. Super-Bands Standard Post Sleeve 1-1/16"
Super-Bands Rebound Rubber 1 1/2"